Sumalee Muay Thai is seeking a new gun to train at their Phuket, Thailand facility. 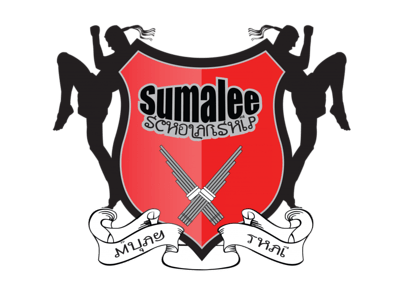 Despite the knock on Phuket gyms as being ‘softer’ or more tourist friendly, Sumalee because of its location away from more crowded gyms has been able to maintain a decent level of quality with overall more serious students in attendance. In fact any one looking to board the party train to tourist debauchery should probably look else where. It’s a serious camp. And its trainers are known for not only being able to communicate well in English but delivering one on one teaching with detail paid to developing techniques to make better Thaiboxers. This scholarship has been created to support the development of young, up and coming fighters from around the world. It allows them to train in the beauty of Thailand, where the sport originates, with authentic Thai trainers of international standing. We are offering free accommodation and training to our chosen applicant for a 2 month period. You will stay in our top accommodation and will have subsidized meals available to you from the Sumalee Restaurant. During this time you will have the opportunity to fight at least twice under full Muay Thai rules. Applications will be accepted between 7th November – 31st January 2012 and our chosen scholarship student must be available to stay in Thailand for a 2 month period in 2013 (of your choosing). One of the best fighters on the Island of Koh Phangan. The veteran fighter with 80 fights to his name, Chalam Kao, was recently defeated by Sumalee’s resident sponsored fighter Craig Dickson. Dickson won his fight by knockout. *Chalam Kao of Rawai Muay Thai should not be confused with Chalam Kao of Diamond Muay Thai. Thanks to Rawai Muay Thai for the correction. ~ by fatsoking on November 15, 2012.
i also want to apply for the scholarship but i have a small height and ,o weight. what to do?